Although all expats who earn over $10,000, or just $400 of self-employment income, are required to file a federal tax return, the majority don’t end up paying any U.S. taxes. In order to not pay U.S. taxes, expats can claim some exemptions that the IRS has made available for them when they file. This is better than relying on a tax treaty (the tax treaties that the U.S. has signed with other countries typically benefit foreigners in the U.S. more than Americans abroad. An exception to this is American students, teachers, and researchers). To give expats time to file their foreign taxes before filing their U.S. taxes (so they can claim the Foreign Tax Credit – see #5 below), the IRS provides an automatic two-month filing extension for expats. That filing deadline for expats is June 15th. 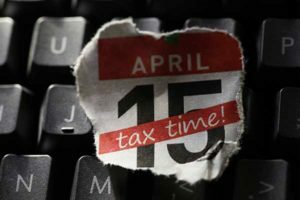 Expats who do owe any U.S. tax should still pay it by April 15th though to avoid owing interest. Expats who require more time to file their foreign taxes can claim an additional filing extension until October 15th. But this must be requested. Expats who pay foreign taxes can claim an exemption called the Foreign Tax Credit when they file their U.S. tax return. The Foreign Tax Credit allows them to claim a $1 U.S. tax credit for every dollar of foreign tax that they’ve paid on their foreign-sourced income. This means that expats who pay more foreign tax than the U.S. tax they owe can eliminate their U.S. tax liability completely, and have excess U.S. tax credits left over that they can carry forward for future use. 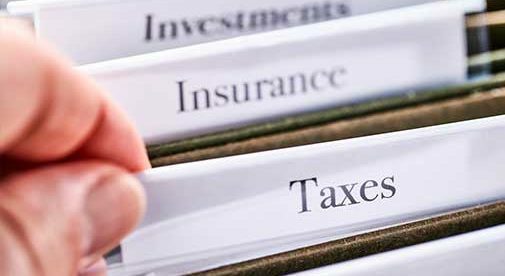 Expats who don’t pay foreign taxes, or who pay foreign taxes at a lower rate than the U.S. rate, may be better off claiming the Foreign Earned Income Exclusion (FEIE). This allows expats to exclude the first around $100,000 of their earned income from U.S. taxation. The exact limit is adjusted each year based on inflation. To claim the Foreign Earned Income Exclusion, expats must prove that they live abroad either by showing that they are a permanent resident in another country (this is called the Bona Fide Residence Test), or by proving that they spent at least 330 days outside the U.S. in a 365 day period that overlaps with the tax year (this is called the Physical Presence Test). Expats who claim the Foreign Earned Income Exclusion and rent their home abroad, but earn over around $100,000, can further exclude a proportion of their rental expenses as well by claiming the Foreign Housing Exclusion (or Foreign Housing Deduction if they’re self-employed). Some expats may have to file state taxes from abroad to the state where they last lived, too. It depends on the rules in each particular state, as they are all different, and also typically on how long they will be abroad for and whether they maintain financial and family ties in the state while they are abroad. Americans who retire abroad can apply to have their Social Security payments wired to a foreign bank account. 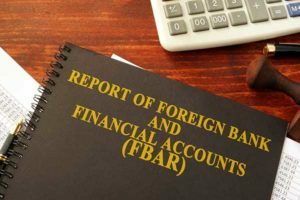 This may or may not be helpful though, as having a foreign bank account may trigger FBAR reporting (see #8 above), and in some countries it can also trigger having to file taxes there. Expats who are self-employed or who work for a U.S. employer are required to pay U.S. Social Security taxes. However those who live in one of the 26 countries with which the U.S. has a Totalization Agreement treaty are exempt from paying Social Security taxes twice. These agreements stipulate which country expats should pay Social Security taxes to (based on how long they’ll be living abroad), with the contributions they make counting towards both countries social security systems. The countries the U.S. has these treaties with are: Australia, Austria, Belgium, Canada, Chile, Czech Republic, Denmark, Finland, France, Germany, Greece, Hungary, Ireland, Italy, Japan, Luxembourg, Netherlands, Norway, Poland, Portugal, Slovak Republic, South Korea, Spain, Sweden, Switzerland, the United Kingdom. Expats with a foreign-registered business also have to report it just as they would a U.S. registered business. The rules for reporting a foreign business can be complex, depending on the share of ownership and type of business, so we recommend that expats with a foreign business seek advice from an expat tax specialist. Expats with a foreign registered corporation should also note that the rules regarding taxing these businesses changed as part of the recent tax reform. 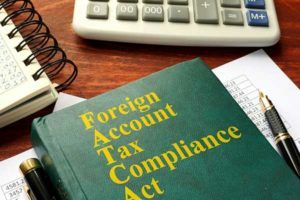 In 2010, a new law was introduced called the Foreign Account Tax Compliance Act (FATCA), which requires foreign banks and investment firms to report their American account holders directly to the IRS or face a tax when they trade in U.S. markets. The law came into effect in 2015, and nearly all foreign financial firms are now complying to avoid the tax, providing both balance and contact information. This means that the IRS can compare this information with that reported on tax returns and FBARs. Furthermore, the U.S. government has tax information sharing agreements with many foreign governments, so they have access to foreign tax records too. Expats who claim the Foreign Tax Credit rather than the Foreign Earned Income Exclusion and who have dependent children can claim a new Child Tax Credit, which provides a $2,000 tax credit per child. Or, for expats who have no tax liability having claimed the Foreign Tax Credit, they can claim a $1,400 refundable credit (i.e. cash payment) per child. 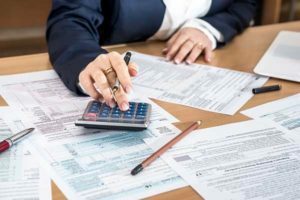 Expats should check the tax residency criteria for the overseas country they are living in (or thinking of moving to) to understand what triggers having to pay taxes there. Many countries stipulate that if you either have a permanent home or spend over half the year there, then you must file taxes, though some countries only tax income arising in that country regardless of residence. If you do qualify to pay foreign taxes abroad, it’s important to familiarize yourself with the local tax registration and filing requirements, and also seek expert advice on how they intersect with U.S. requirements. The U.S. tax system is complex at the best of times. Expats not only have more filing obligations for expats, but they often have to deal with how the U.S. system can be reconciled with a foreign tax system too. Most CPAs in the U.S. don’t have the necessary experience to ensure that expats file most beneficially, so be sure to contact an expat tax specialist to ensure that you file correctly, fully, and most beneficially for your situation. Whether you’re already happily ensconced in the country of your dreams—or you’re just considering a move—it’s not too late to get a handle on your taxes and start saving. You can get all the information you need in our all-new 2019 edition of Expat Taxes Made Easy: The Complete Guide to U.S. and Foreign Taxes for the American Overseas. Order your copy here. 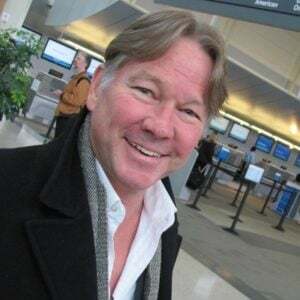 Greg Dewald is CEO and founder of Bright!Tax ,an award-winning, leading provider of U.S. expat tax services for the estimated 9 million Americans living overseas, with clients in over 190 countries. Bright!Tax is proud to have partnered with International Living to produce the definitive 2019 expat tax guide: Expat Taxes Made Easy: The Complete Guide to U.S. and Foreign Taxes for the American Overseas.